ELATE Revenue Cycle Management Services Pvt Ltd (OPC) is an ISO 9001:2015 Organization. We redefine traditional operating models and transform the processes to create extraordinary value in medical claim management. ELATE is Backed by rich domain expertise of 18+ years of experience and robust technology. Every solution we create responds to a client’s unique need and is designed to deliver sustainable value. We have a sole focus on providing end-to-end revenue cycle execution for providers. Our expertise is to provide a wide variety of services to organizations in the Healthcare industry, such as hospitals, midsized provider Organizations, and Medical Billing Companies. Physician’s livelihood depends on the correct coding and billing of their services provided to the patient by ensuring patient is eligible for medical services and verifying pre-authorization prior tothe exam. TEAM ACTIVELY FOLLOWS UP WITH UNRESOLVED CLAIMS ISSUES AND DILIGENTLY APPEALS DENIED CLAIMS. ANALYZE THE DENIAL RATIONALES AND CODING ERRORS IN ORDER TO ESTABLISH FOLLOW-UP PROCEDURES THAT MAXIMIZE RECOVERY RATIO. USES PREDICTIVE MODELING TO HELP FORECASTING THE FUTURE REVENUE STREAMS AND SUPPORT CASH FLOW. IS COMPLIANT WITH MEDICARE AND HIPAA. PROVIDES UNPARALLELED TRANSPARENCY THROUGH COMPREHENSIVE REPORTING. ELATE provides innovative, effective and high quality Services to Health Care service providers worldwide. We, at ELATE, offer a seamless delivery of services from our state-of- the-art facilities in India and the US that serve as Business partner for each other. Our outsourcing services help alleviate the risks and secure benefits through a structured, proven approach. If you are concerned about the trend of your late payments. If your billing process is churning extra resources and time. If you are concerned about full financial reimbursements. ELATE is one of the pioneers in offshore outsourcing services like Medical Coding, Medical Billing, Insurance Claim processing etc and has a proven track record of successfully maintaining very high standards in providing patient information management services to hospitals at its offshore facilities through a robust framework. 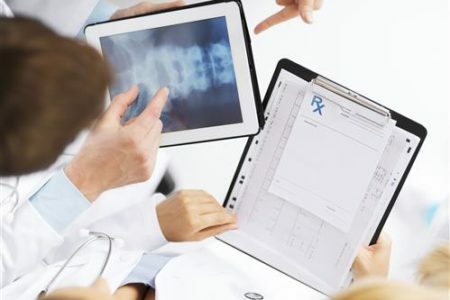 We utilize state-of- the-art infrastructure, dictation technology, well qualified and experienced Coders QAs, and Billing executives and high-end software technologies to provide 24 x 7 end to end solutions in all areas of Medicine. Many thanks for your professionalism. We have been very impressed with the level of service provided by your company so far and I have therefore recommended your services to several of my friends and expatriated clients. I want to take a minute to extend my sincerest gratitude and appreciation for the efforts put forth by Elate team. We appreciate all your efforts and your continued improvement with our procedures. Thank you very much.